Consultations are offered in person in the Atlanta Area or by phone. All fees include any long distance charges within the United States. An MP3 can be recorded for you, if desired, and e-mailed to you as a courtesy. While I make every effort to make quality recordings, malfunctions do sometimes occur(especially during Mercury Retrogrades!) In the case of any problems with the MP3, sessions can not be repeated. You are more than welcome to make your own recording if preferred. Fees reflect all research and preparation done prior to your appointment, as well as the time we spend for your session; recordings are complimentary. If you are a new client, we can arrange your appointment time by email at karen@newattitudesastrology.com or phone at 404-931-6356. Your initial session will be 90 minutes. Prior to your session, I will need your birth data: date, location and time of birth. An accurate birth time is very important and will result in a more accurate astrology chart. Most birth certificates record birth times; if yours does not, other good sources are birth announcements and baby books. Mom's and Dad's memories are not always reliable! I also need your address and telephone number. If you have any specific questions or areas of concern, you may include these as well. Returning clients are encouraged to contact me for updates, or you may also schedule shorter sessions that might focus on a single question or issue that arises between updates. 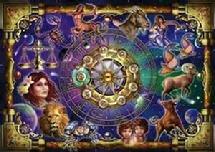 On-going astrological counseling is also provided. Payment for services may be made by check, credit/debit card or may be paid on this website via PayPal. For more details on each service, please select from the menu tabs above. You can arrange for your appointment and pay for your services on-line with a credit card.